On school property; closed when school events or classes are going on. I-96 exit 147 (Spencer Rd.) South (becomes Main) through town, left on 7th St. to Brighton High School. Behind school on east side of bldg., course begins west of tennis courts and goes around lake. 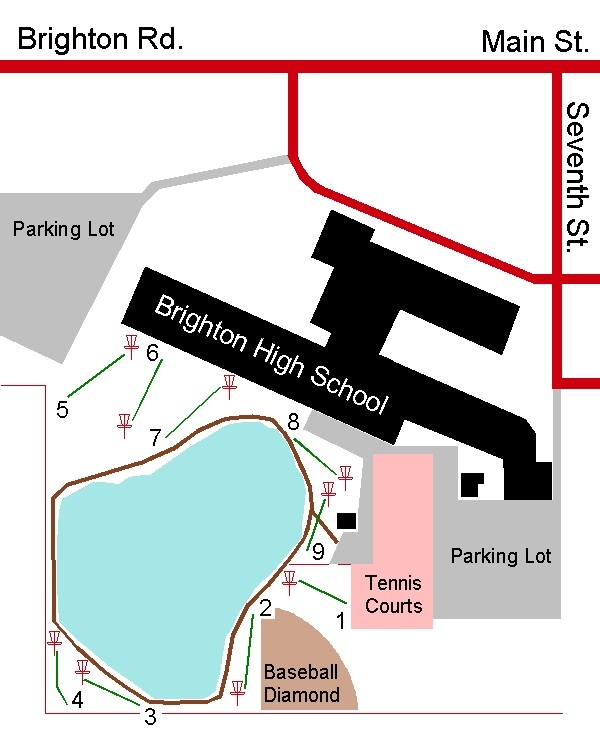 Have you played at Brighton High School? Be the first person to review this course!